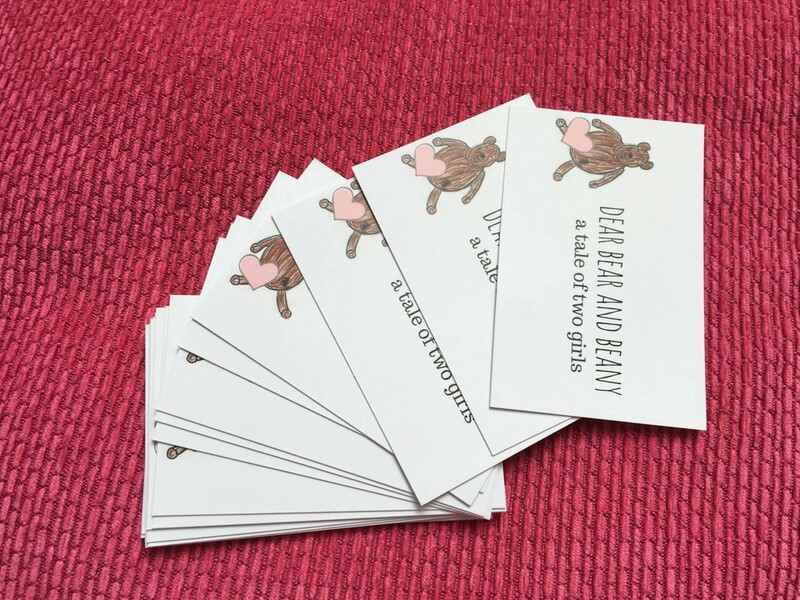 Review: Business Cards by Colour Graphics…Why a blogger needs them! 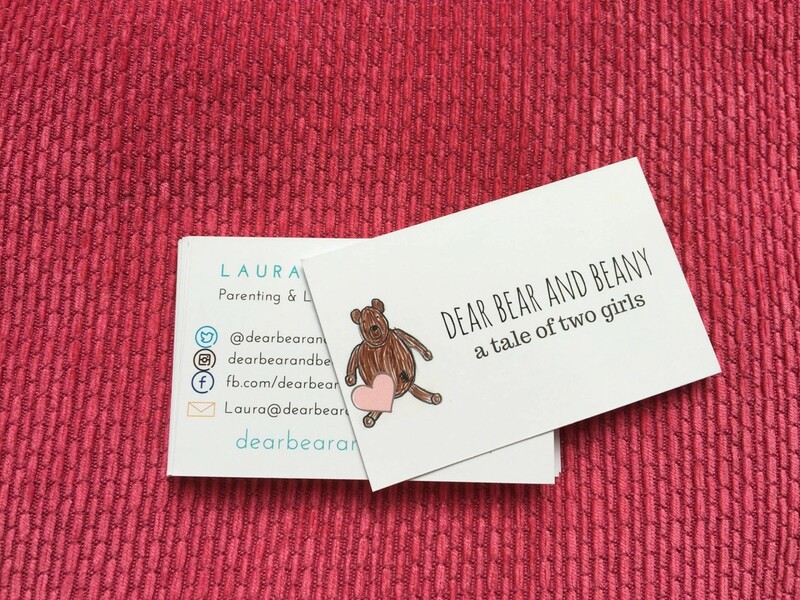 You may be wondering why a blogger would need business cards, I don’t have any work colleagues to hand them out. I sit on my sofa with my MacBook on my lap writing away, it’s very isolated. So, what is this exciting business? In June BritMums are holding their annual conference, BritMums Live. This is where all bloggers can go along and attend various sessions to learn more about the wonderful world of blogging. Plus it gives bloggers a chance to meet other bloggers, people that you may only know through reading their blog or sharing the odd tweet. I was a bit apprehensive about going, even though it sounded like the sessions would be really great for me to go along too and get some great advice and tips. It was the thought of being the new girl in a big place like a conference. The funny part is I have been to a lot and I mean a lot of conferences in my working world. I have even stood up and talked at a conference in front of actual people. But this is different, you see that was the work ‘Laura’ and my blog is all about me and the home ‘Laura’. Don’t worry I don’t actually think there is two of me…I am just a typical gemini, there is two sides to me. Anyway I digress, back to the business cards and why I need them. I want to be prepared for the conference and I have seen on a few blog posts about the conference, a checklist of what to take. One of the items is your business cards and if it’s on a checklist then I need to tick it off! Then lucky for me, Colour Graphics got in contact to ask if I would like to review their business cards and I quickly said yes. It all started with me designing my own business card, something that I never thought I would do, but here I was bringing to life the look and feel of my blog onto a piece of cardboard that is 85 x 85 mm. I then headed over to Colour Graphics website to start the ordering process. First I had to choose my material, I selected the 400gsm Premium Un-Lamintaed option. This was added to the cart, I filed in my details and my order was complete. I then received an email requesting me to send my artwork and that was it job done. I received an email at every stage of the process and then the exciting part, they arrived in the post. I know who would have thought you could get excited over business cards! But, when they are your business cards, that represent your little part of the internet trust me you do. 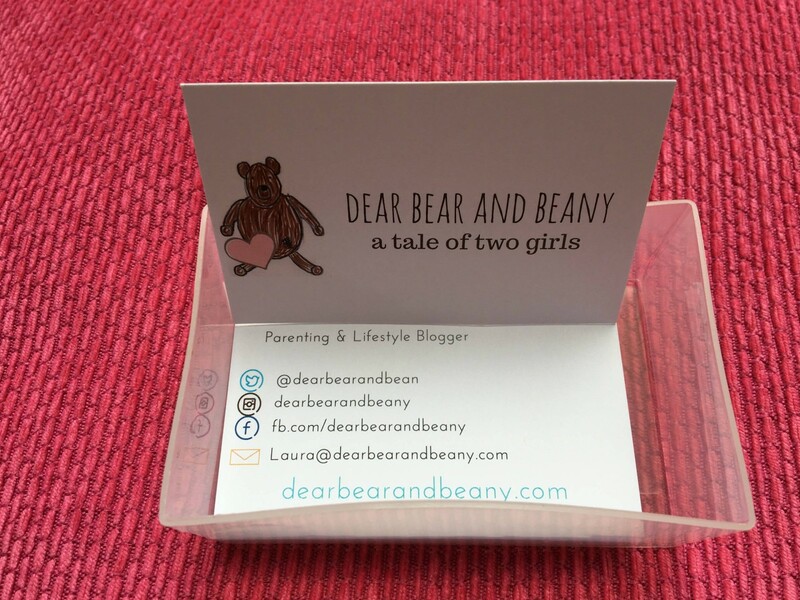 They came in a clear box and I could immediately see my blog header…my little bear and heart. I knew straight away that I wanted it on one side of the card, as that is my brand. Something that I want people to be able to associate to me. Then on the other side was all the ways that people can connect with me. I used my brand colour on my name and blog address and then found some lovely icons that fitted well. I was really impressed with the quality of the card, they definitely won’t bend out of shape in my purse and I can pop the box easily into my handbag. 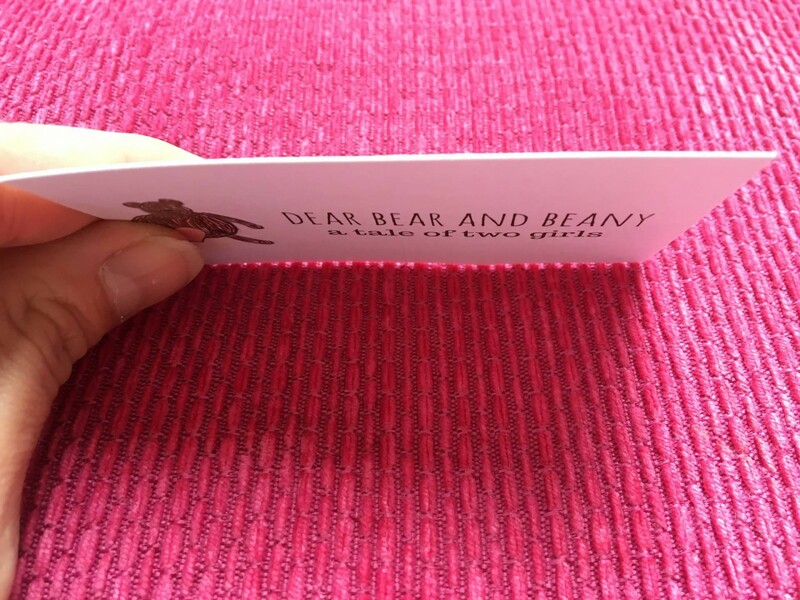 I will feel proud to hand them over to people who are interested in dear bear and beany. So, that is a big tick on my bloggers conference checklist. What next? My outfit, what will I wear…eek! Disclosure: I was sent these business cards for the purpose of this review, however all opinions are my own. They are great and I love the design. I know how you feel about being the newbie! I hope you have a great time at Britmums. Loving the business cards. Congrats they look fab love the design! Those are really rather lovely business cards! I got some done up in 2014 for when I went to BritMums too, and they’re all gone now. I should maybe think of getting new ones! Ooh, these are lovely – very cute design and containing everything you need in one card! I’ve been debating getting cards made for the last while, this is definitely an inspiration! These are fab! I need to get some business cards for myself and you’ve just given me an idea of where to get them from! Thanks! They look great – very simple and stylish. You never know who you’ll run into so it’s great to always have some. These business cards look great! Simple and all you need on there! These look great! And, you’ll have a wonderful time at Britmums 🙂 I’m not going this year, but I went the past two and loved it! I actually need some new business cards so will be checking these guys out! This is right up my street as i’m a blogger AND multiple business owner, looking for good quality cards. Love your logo too! Love these business cards. I am going to an event in 2 weeks but I haven’t got any business cards. I must add that to my list. These are really good, I love the cute design and matching your blog. Great quality.